After a long week at the office, breaking out your favourite pair of sweatpants probably sounds like a fine idea for the weekend. If you’re in need of a few celebrity-inspired ways to wear the comfortable staple, you’re in luck! We’ve spotted three of our favourite celebs in interesting, stylish ensembles revolved around sweatpants. Scroll down to see if you like them! On Hadid: Bobbi Brown Mirrored Jackson Aviator Sunglasses ($165); T by Alexander Wang Crop Top ($45); Native Youth Jog Pants ($63); Nike Flyknit Lunar Sneakers ($150). 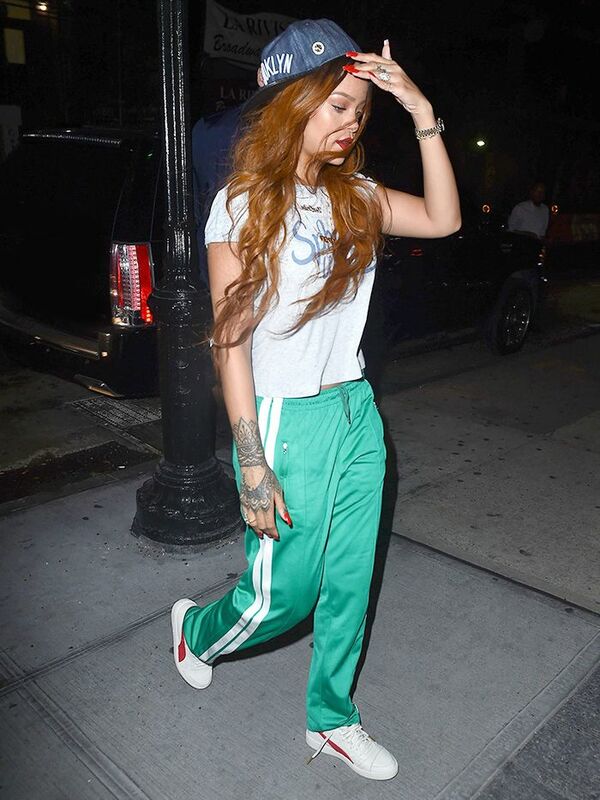 On Rihanna: W.I.A Collections Hole Sweatpants ($239); Dior bag. On Coleman: Topshop Ultimate MA1 Bomber Jacket ($110). What's the verdict? Would you wear any of these outfits? Sound off in the comments below!